At some point, every company will come to face the realization that they made a bad hire after thinking they had found the perfect candidate. A mistake like this can set a company back $50,000 or more. Video interviewing technology is a powerful solution for companies to avoid making this costly mistake again and quickly weed out bad candidates early on so that the right hire is made every time. 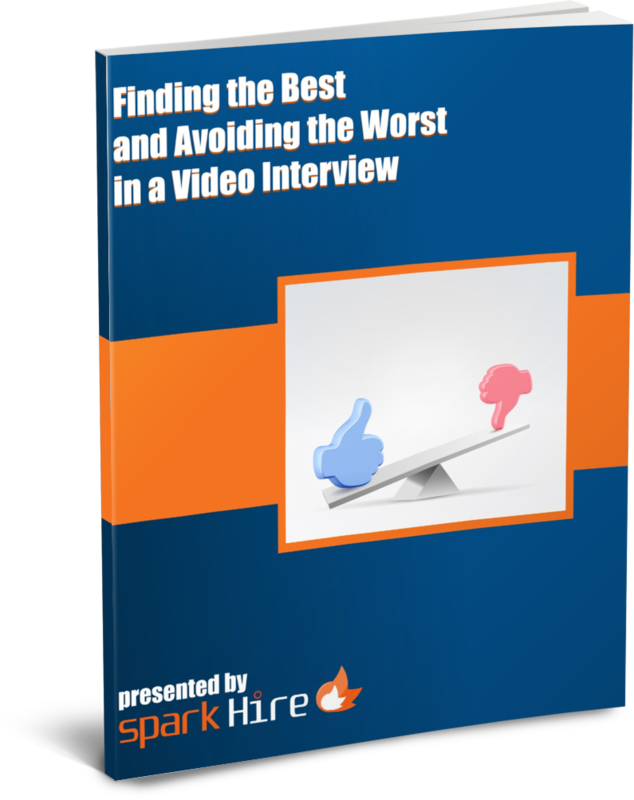 Spark Hire’s new whitepaper, “Finding the Best and Avoiding the Worst in a Video Interview,” details several ways video interviewing can be used to enhance a company’s strategies for filling open positions. For example, companies can better determine whether a candidate is the right fit for a position or not by having them complete a one-way video interview. Recruiters and hiring professionals can view these video interviews and catch warning signs to avoid wasting time on the wrong candidates. Some warning signs that companies can look out for in video interviews are improper dress, lack of thought put into area staging, and a defensive attitude to simple questions about a prior mistake or a former employer. Additionally, video interviews can make it easier for companies to target the right candidate pool, such as tech-savvy and passive talent. Utilizing video interviews shows interested candidates that your company is willing to embrace new technology and think outside the box. Furthermore, passive candidates will appreciate the convenience of video interviews. Passive candidates, who can’t take time off from their current job to interview with your company, can complete a one-way video interview from the comfort of their home at the end of the day. Other tips discussed in the whitepaper will enlighten recruiting and hiring professionals on how to best use video interviews to ensure the right questions are being asked, improve team collaboration to hire great candidates faster, and eliminate the time-consuming phone screen. 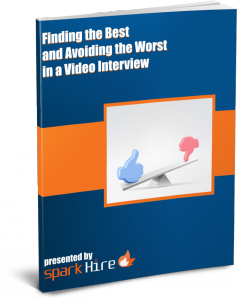 Download Spark Hire’s new whitepaper, “Finding the Best and Avoiding the Worst in a Video Interview”, to begin improving your strategies for finding and hiring the best candidates out there!